2018 was marked by a clear increase in the complexity of the situation faced by the victims of armed conflict in several regions of Colombia. As humanitarian workers, we witnessed the disturbing evolution of the conflict in the most remote and impoverished areas of Colombia, where peace never arrived and its inhabitants face with uncertainty a security situation that has in many cases deteriorated seriously. “Peace? In my region the so called post-conflict phase has been even worse than the conflict,” a victim of violence told me on the Pacific coast some weeks ago. Sadly, I can understand this feeling. Despite the widespread belief that the war in Colombia is over, peace remains a fragile and distant hope. Many Colombians have not seen any improvement in living conditions, or the security situation, in their regions. Not just one, but several armed conflicts persist. Four of them between the Colombian State and different organised armed groups, namely the Revolutionary Armed Forces of Colombia (FARC EP) splinter groups, the National Liberation Army (ELN), the Popular Liberation Army (EPL) and the so-called “paramilitary” outfits (AGC), as well as a fifth one that confronts the ELN with the EPL. The humanitarian consequences of these armed conflicts, added to the violence exercised by various armed groups continue to mark the day to day lives of millions of Colombians. Disappearances, death threats, targeted killings, sexual violence, large and small-scale displacement, extortion, confinement, the scourge of anti-personnel mines and other explosive devices (the number of victims thereof multiplied by four during 2018), social control, and the recruitment of children by armed groups and gangs, are some of the most worrying effects of armed violence. In addition, border dynamics remain a well of potential instability, and the dramatic consequences of migratory flows are also a constant cause for concern. A leader in the north of the country, where confrontations between armed groups have been extremely difficult this year, told me not long ago: “it is difficult to have dreams, to plan for the future. When I get dressed in the morning I don´t know if I will take off my boots in the evening. I am never sure I will live to see another day”. He has two children and has been threatened several times but he has nowhere to go. This is what the suffering caused by armed conflict looks like in Colombia: fear and uncertainty about the future, leading to despair. Like him, many people are still in need of assistance as there is a lack of access to essential services in many rural and urban areas. The ICRC carried out a series of emergency operations in 2018, providing support to those who had been displaced or confined due to armed clashes. The number of new internally displaced people doubled last year, just as victims of land-mines were multiplied by three. Two years after the signing of the Peace Agreement, we can say that its implementation has been difficult and slow, especially if we consider the humanitarian aspects of this agreement, which could bring some relief to the victims of decades of violence. Beyond any doubt, the most critical humanitarian challenge currently facing the country is finding the people who have disappeared as a result of the armed conflict and violence. Despite the progress made, Colombia ended last year without a search unit for missing persons operating in the territories. The lack of political will to give this topic the importance that it deserves exacerbates the plight of the families, frustrated after years of indifference. It seems that the country is turning its back on the hard reality of disappearances, refusing to give answers to the more than 80,000 families that have no news about the fate of their missing ones. We need much more public interest to move towards a Colombia without violence. Not only state authorities, but also civil society as a whole should be involved in a response that must not be based exclusively on control and security, but should still be accompanied by a clear social investment that offers alternatives for development. The weapon carriers, meanwhile, must remember that even wars have limits. Respecting international humanitarian law is not an option, but an obligation. In 2019 we cannot afford indifference: Colombia and the international community must act in favour of the victims, without underestimating the growing complexity of the conflict, which requires a comprehensive and urgent response. 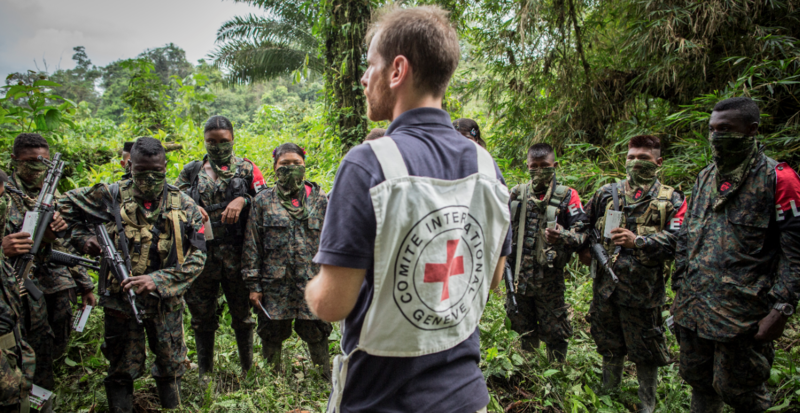 Christoph Harnisch is head of the ICRC Delegation in Colombia. This article is part of the ‘Forgotten Conflicts’ series by the International Committee of the Red Cross in partnership with AIIA, highlighting the serious and often overlooked humanitarian consequences of armed conflicts and other situations of violence. 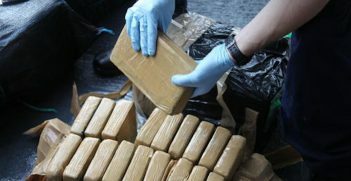 This article is published under a Creative Commons Licence and may be republished with attribution. 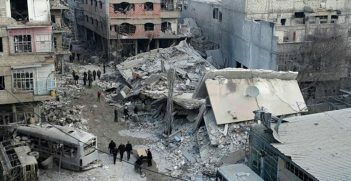 On the outskirts of Damascus, in Eastern Ghouta, nearly half a million Syrians continue to suffer indiscriminate bombing and inadequate provision for humanitarian assistance. And the situation is only expected to get worse. 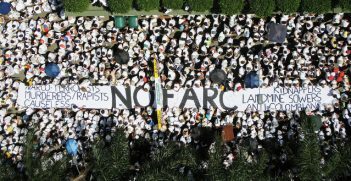 This month, Colombia's notorious FARC transformed from an armed group to a political party. But in a country where memory runs deep the transition is likely to be difficult.